We had intended to have lunch at Della Nonna but surprisingly found it closed. Not really wanting to travel much further we decided to cross the road and give Isa Brown a try. As it turns out Isa Brown is in the middle of its transformation into its new identity, Rococo Hawthorn. A limited menu was on offer so we decided to try out the pizza. 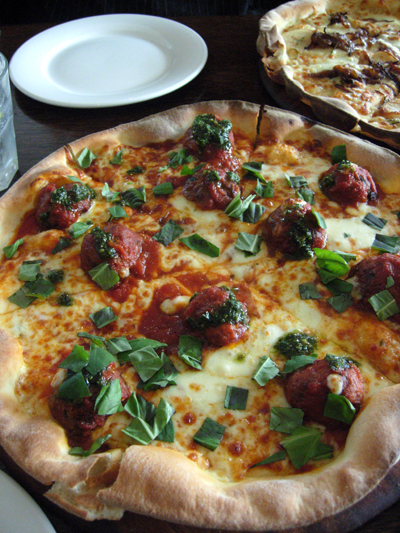 Paalo ordered the Meatball pizza with napoli sauce, bocconcini, and pesto. Quite a generous sized offering, the meatballs were tasty and tender, the napoli sauce was also well reduced. The crust was quite crisp bu the base itself was very thin and easily foldable. 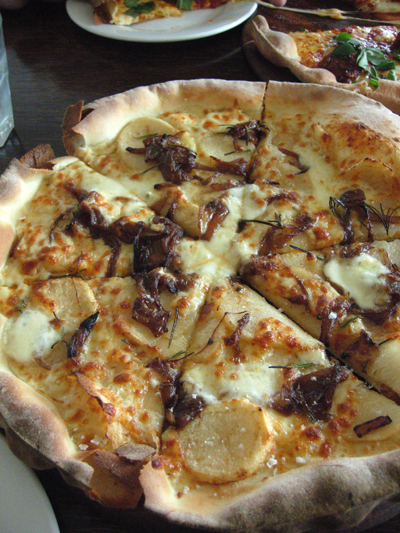 I ordered a pizza bianco - with caramelised onions, potatoes, taleggio and rosemary. Well flavoured without being overpowering. It also has the same excellent base. It will be interesting to see how Rococo develops when the metamorphosis is complete.